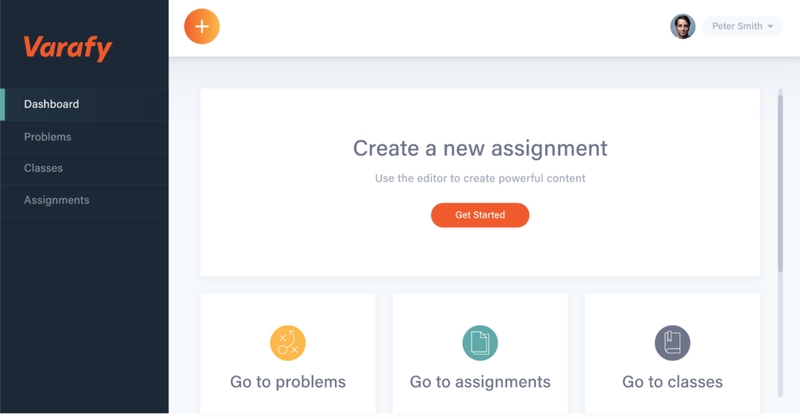 The Most Powerful and Easy To Use Authoring and Assessment Platform For Creating Assessments across Science, Technology, Engineering and Math. STEM assessments shouldn't be boring. Bring them to life with Varafy. 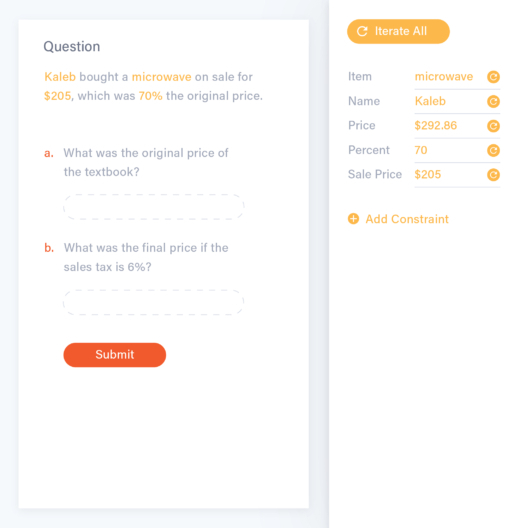 Easily create or edit questions. Market leading platform to Support STEM based OER Content including Physics, Chemistry, Engineering & Math. 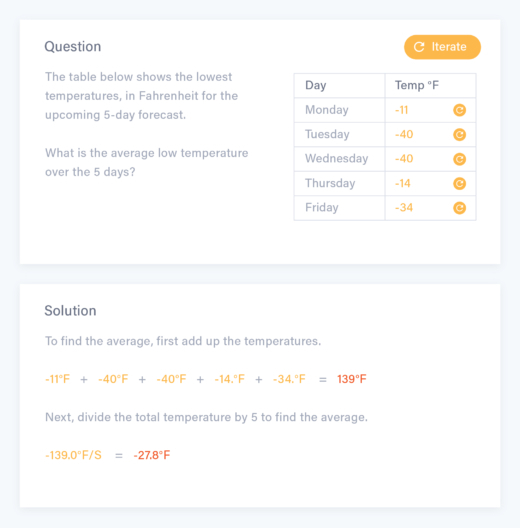 Quickly build a STEM assessment for print or online use with a few simple clicks. 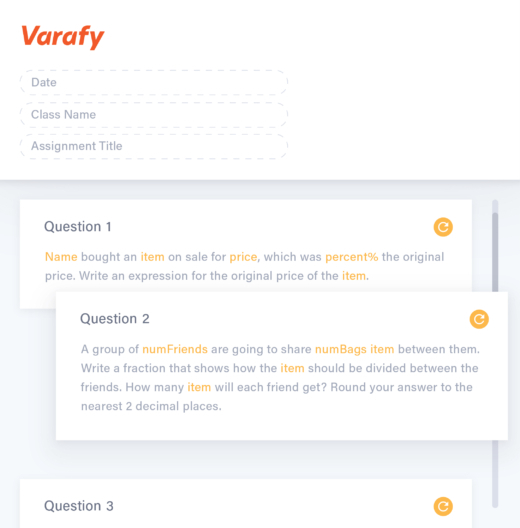 In Varafy, you see exactly what your student will see. Make live edits to the assignment. Varafy's powerful authoring platform gives you the power to create and edit content with an easy to use intuitive interface. Have fun creating questions. No programming skills required. With a click of a mouse, Varafy generates thousands of unique and fresh problems for practice or an entire assignment either online or print. Be the first to use diagrams in your STEM problems whose dimensions automatically adjust with each version of a question - a market first! Varafy's market leading graphics editor makes it easy to add simple to complex images in your content. Our Culture is Founded On Listening and Acting Quickly to Earn Trust. We Invest In Relationships and Collaborate For Our Customer's Success. Experience all our product has to offer. Book a demo.